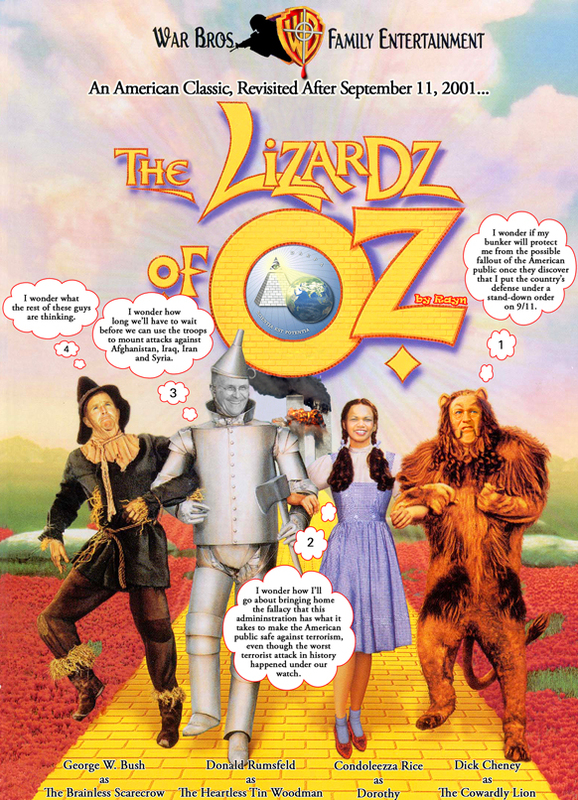 The Lizardz of Oz: An American classic, revisited after September 11, 2001. Bravo for the fantastic work! The world should demand the trial of all these criminal for crimes against humanity, and insist on such demands so that it would serve as a warning to the current criminal (and/or criminals-to-be) to think twice before once again committing similar crimes at the order of their masters in the corporate world of Military – Industrial – Scientific – Media Complex.